View Large / Printable Map (PDF) or click on the map image above. Public parking is available for $5 in the following garage on a space-available basis. ADA parking is available at $5 per vehicle on a first-come, first-served basis in designated spaces in East Campus Garage. A person with ADA placard or license plate MUST be in the vehicle. 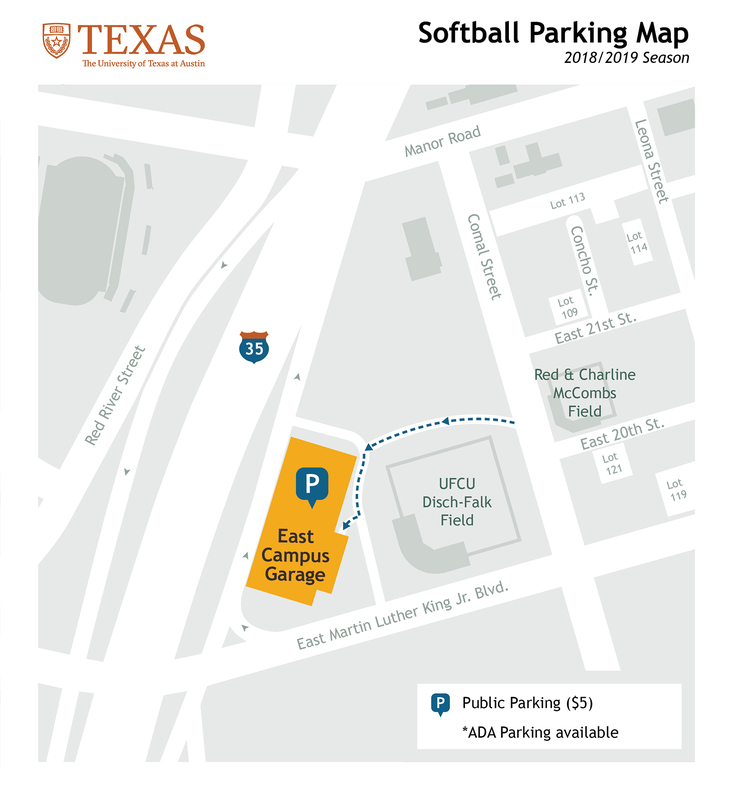 *Starting 2 hours prior to the game time, the entry to East Campus Garage will be only accessible through Comal Street.